With over 18 years experience in the video & photography business Brenden Ward has the experience and expertise to make sure your special day is captured in beautiful style. We offer competitive rates and packages for all budgets. We cover the Tyne and Wear area (Sunderland, Newcastle, Durham, and Southern parts of Northumberland) FREE no obligation quotes no pressure sales we visit you to show you the wonderful packages we offer. 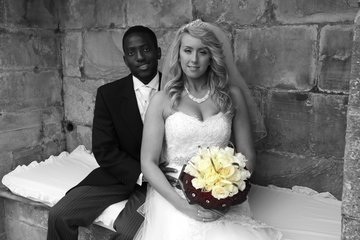 Colour, Black and White and other types of photographs available at no extra charge. Are you employed by the NHS, Police, Fire service or a member of the Armed Forces? we offer a 10% discount on all our wedding packages.